Side by Side Knots. Hey, An Owl? I hope I’m only a few hours from finishing this. You see, I found a scrap piece of wood, a 4 X 4 X ?28? Piece of cedar at Lowes. Got it for 50¢ since it had two big old knots, which reminded my of eyes…owl eyes. 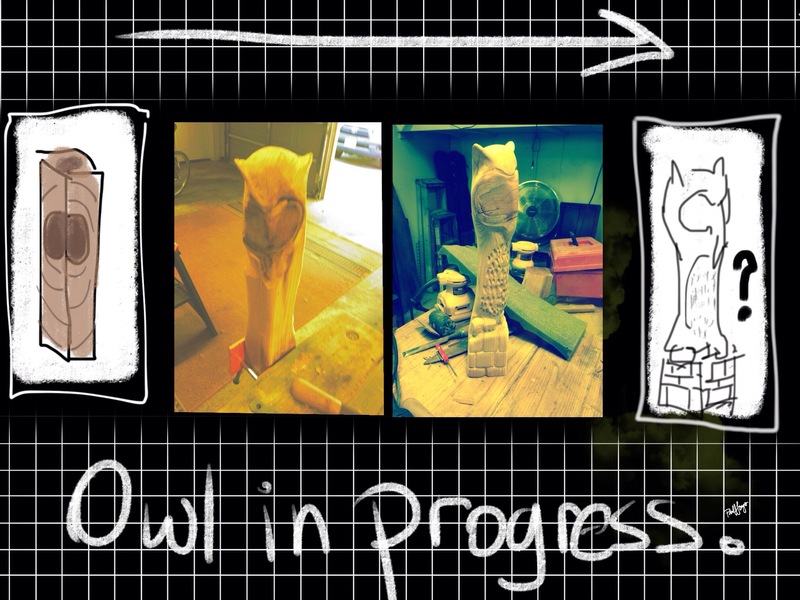 Problem is, I do pencils, not owls…so I’m really playing this one by ear! This entry was posted in Carving - Wood, Digital Artwork, iPad Art, Photos of images and tagged cedar, nowwhat, owl, wood by portfoliolongo.com. Bookmark the permalink.